At Gymboree, everything in the store is 50% off plus you can stack a Gymboree 20% off coupon. The Jingle Deals are Fleece for $15 and pajamas for just $10. The 50% off does not work on top of the jingle deals but you can stack your coupon. At Crazy 8, everything is up to 75% off plus you can stack a Crazy 8 20% off coupon! There specials are Fleece for $7, graphic tees for $5, jeans for $10, pajamas for $10 and fleece accessories for $5. At Janie and Jack, everything is 30% off. There are no current Janie and jack magazine coupons but if you happen to have one the mailed to you it is stackable. 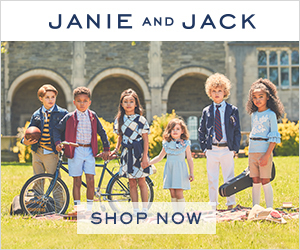 This is some of the best prices you can get on Gymboree, Crazy 8 and Janie and Jack clothing all year long! Click here for the current list of Gymboree and Crazy 8 20% off coupons. Shop Gymboree 50% Black Friday Sale Now! Shop Crazy 8 up to 75% Off Sale Now! 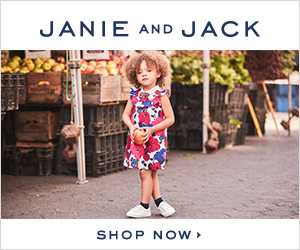 Shop Janie & Jack 30% Black Friday Sale Now!